You are buying VetriScience Omega 3-6-9 Gel Caps For Cats & Dogs 90ct, model #0900367090 at ADW Diabetes, we offer a wide range of pet dietary supplements geared towards helping your pet achieve optimum health. We offer these supplements in both single and discounted bulk packs with the goal of helping you save even more. Shop with ADW Diabetes for all of your pet health supplement needs. 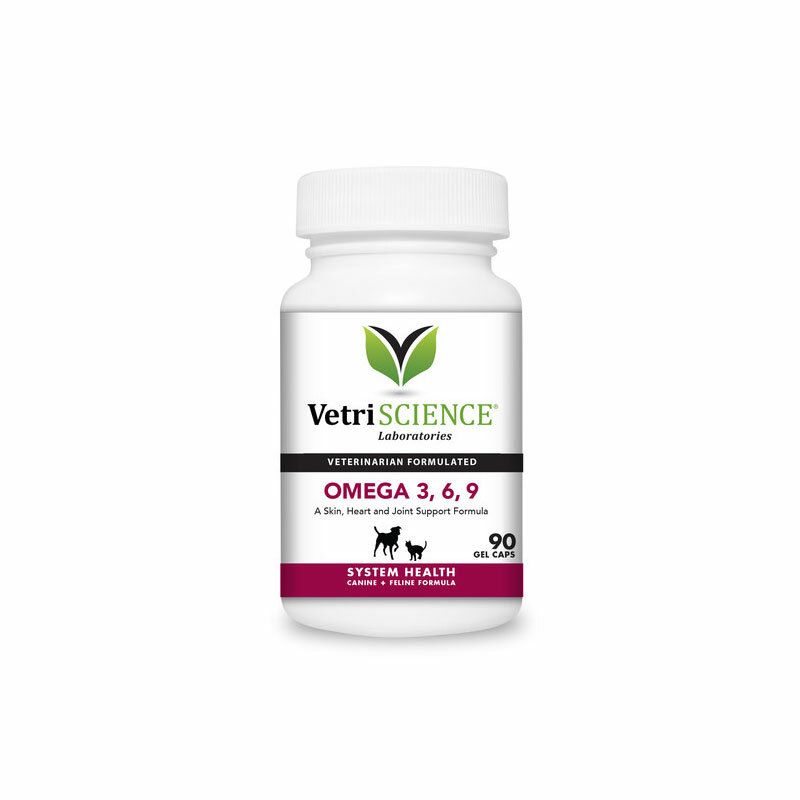 The VetriScience Omega 3-6-9 Gel Caps For Cats & Dogs 90ct is a blend of non-GMO oils from borage seed, flaxseed and fish. Omega 3, 6, 9 provides a healthy balance of fatty acids, which are critical to total body health, playing a vital role in the structure of cell membranes to support animals with skin health concerns, support the immune system, and support proper growth and development of the nervous system. Omega 3, 6, 9 provides a desirable ratio of omega 3 to omega 6 for more efficient and beneficial prostaglandin production. For use in dogs and cats only. Ingredients: borage seed oil, fish oil, flaxseed oil, gelatin, glycerin, purified water.